Mount Everest is the mountain on the left! 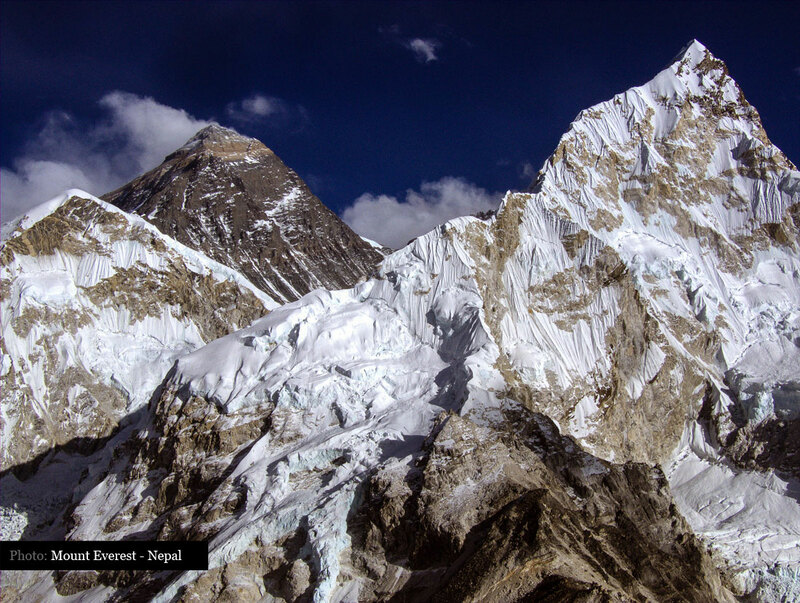 It's not that well known but a view of Mount Everest from Everest Base camp in Nepal only lets you see its very tip! So no you don't get to see the big mountain in all its glory when you get up close to it.